Working in a great design team gives me the opportunity to create solutions that enable our clients to enjoy the lifestyle they want. It’s a privilege to be involved in the quality projects we do at Duncan Thompson Extensions. Bryn has earned his role as a member of the Duncan Thompson Extensions design team by starting with the company in 2005 and working hard to learn all aspects of the design process. He has valuable experience on site and earned a diploma of Building Design and Technology at RMIT. In 2006 he took on the role of preparing the concept drawings for the design team, a role which required not just great computer skills but detailed construction knowledge and lateral thinking to solve some of the complex problems posed by the designers. 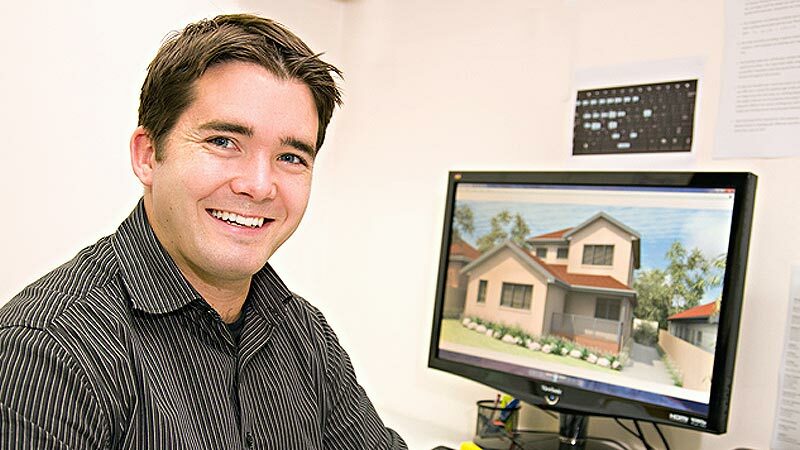 His dedication to the role led to great improvements in the quality of Duncan Thompson Extensions’s presentations and gave the designers a valuable resource in producing 3D computer models for them to test and confirm their ideas. When Bryn accepted a well-earned promotion into the design team, his solid grounding in design and documentation, coupled with his extensive on-site experience, meant that his designs fitted immediately into the Duncan Thompson Extensions ethos of creative solutions based on good information and proven methods of construction. With his dedication and hard work, Bryn has become a valuable asset to Duncan Thompson Extensions and to their clients.